I agree. We cannot rewrite history no matter how many monuments we remove or name changes we vote on. Officials voted to remove Jefferson Davis' name from a highway in VA yesterday as well. Our Country wouldn't be what it is today if it wasn't for the history it lived. I realize not all that happened is something to remember because of the pain and sadness, but to learn from it and move forward and then turn around and destroy it all makes no sense whatsoever. It really is worrisome what might be next. If you have Facebook, you can watch the video made by Almanzo's great, great nephew and his Native American fiance and how they are fighting this. Their page is called, "Raising Wilder"
I read this yesterday. This is terrible. No one can't rewrite history. I bet, they're trying to removed her books from the library. Removed LHOTP from television. I wouldn't be surprised. They removed Dukes of Hazzards from tv. Cause of the flag, on the car. I saw that the other day. Very sad. I was surprised at first because so many books relate honestly how things were back in the day but then my daughter who is a teacher had me see another side. She works with children who are from all different backgrounds, including one child who is half Native American. Since the books are geared to children and many young kids read them and idolize Laura, etc. they might think if she said those things, it was correct, not just their observance at the time. Not all parents will give both sides. I read them around ten and didn't remember the reference but usually thought any reference to other races being "lower" just being wrong. My parents taught me that. Michael Landon in his own spin, tried to have his show embrace the racism and show how the Indians were treated and their side also. The books I guess were not the same. Not saying I disagree or agree, but understand since it's geared to kids, they reacted to what they thought were best. They aren't removing her books, just an award. I wish people would understand it is the Award and not the books, but as many times as I try to clarify that, people just don't read it. I do think it is unfair to strip her name from the Award since it was presented to her first and named after her in 1954 and many have been awarded it since. If you are on Facebook, there is a video done by Almanzo's great, great nephew and his Native American fiance who gives her perspective. 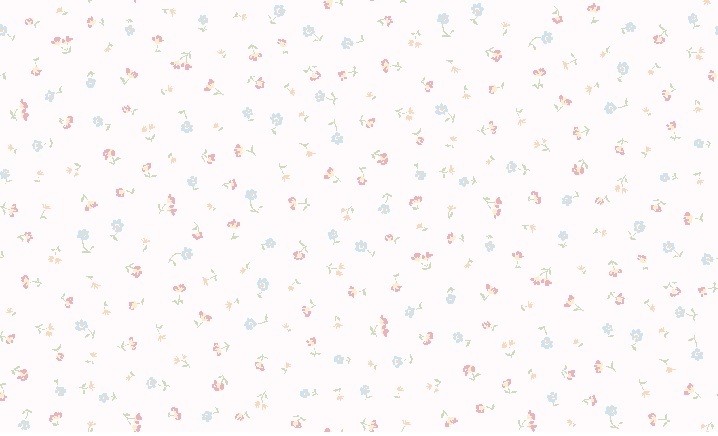 What she has to say is wonderful and even will bring tears to your eyes. They have their own Facebook page called "Raising Wilder" so check it out. 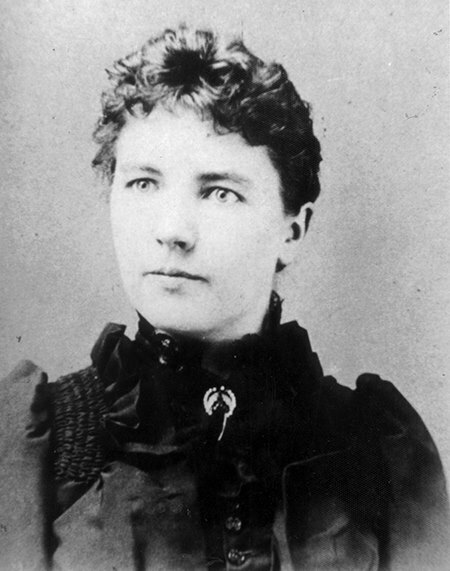 I stand with Laura Ingalls Wilder. Literally. There is a cutout of her in later years in the back porch at the homestead she and Almanzo settled in Mansfield, Missouri. It’s a wonderful historic site to visit. They built the house one room at a time, as they could afford materials. Almanzo built the kitchen counters low because Laura was short. The home contains wonderful and inspiring personal history. 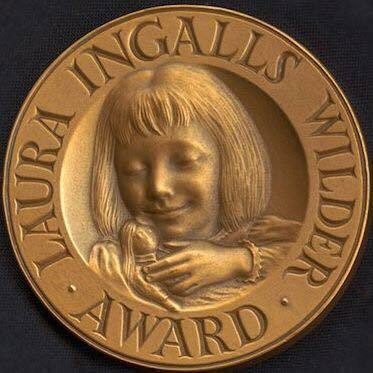 The Association for Library Services to Children has stripped Ingalls Wilder’s name from a children’s literature award that was started in her honor in 1954. 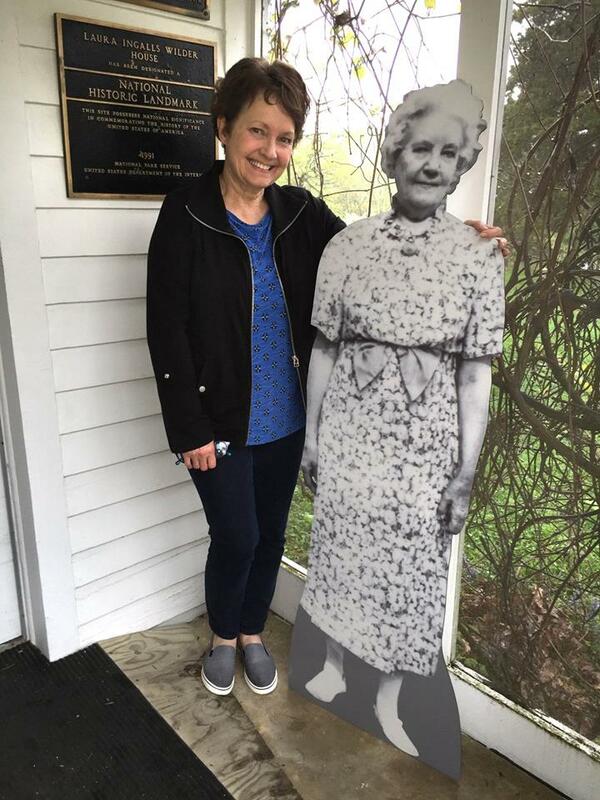 She received a telegram telling her of the award on her 87th birthday. Her book series captured life on the Plains, blizzards, droughts, wildfires, hardship, struggles, determination and faith of Plains people in the late 1800s. Parts of her book have been deemed racist. You know, there wasn’t a lot of multi-cultural activity in the late 1800s. Like any book written in a different time, there are parts that may need to be read in historical context (a fundamental of reading). Alas, we have become so self-absorbed, so myopic, seeing and condemning everything through the sanctimonious lens of our enlightened latte-sipping, Costco-shopping, Netflilx-binging, Amazon-ordering 21st Century experience that we now lack the ability to appreciate those who lived in different times. Too bad, we could learn a lot from them. They can erase Laura’s name from the award, but they will never erase her beloved treasury of work from the hearts of readers. That's understandable, but we can't make up for how a person parents now any more than we could decades ago. We keep trying to erase history as if, somehow, we can make up for the mistakes of the past. We need to teach our children--at home and in school--that this is how it was back then, but not how it is--nor should be--now. All these things do is further separate a nation that needs to come together; to treat one another with respect. In the days after 9/11, it didn't matter which side of the political aisle you were on or where in the country you lived. We were all Americans and we were united.